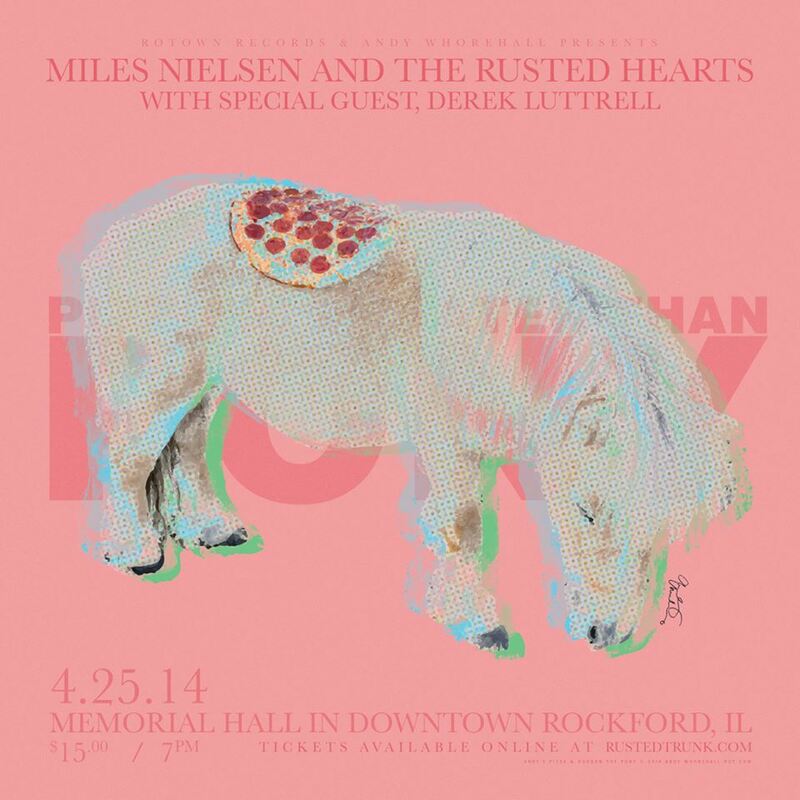 Rotown Records, Lord Thomas Derby and yours truly are hosting another live performance event at Memorial Hall in sunny Rockford, IL, on April 25th, 2014. 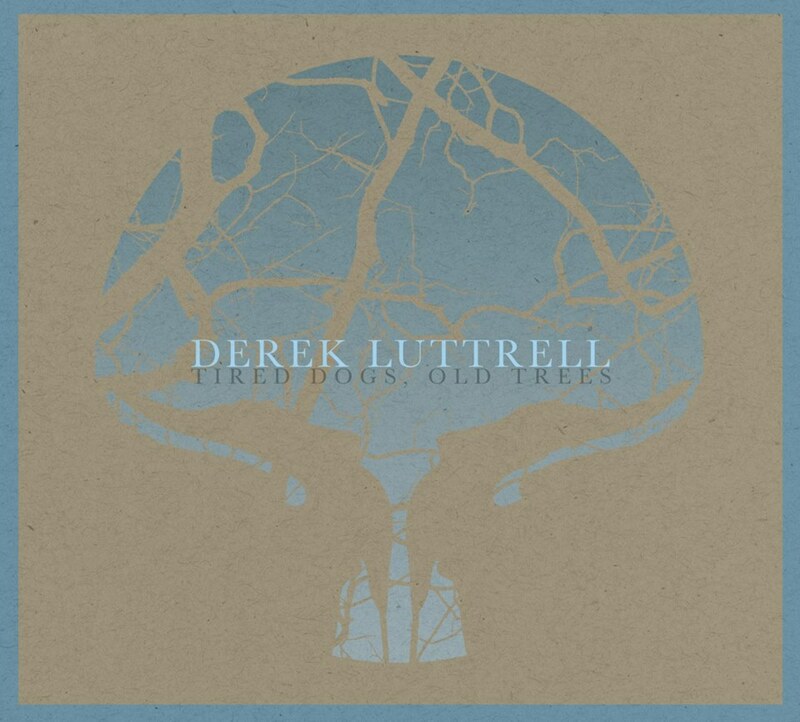 The concert is the official CD release party for “Tired Dogs, Old Trees” by Derek Luttrell. 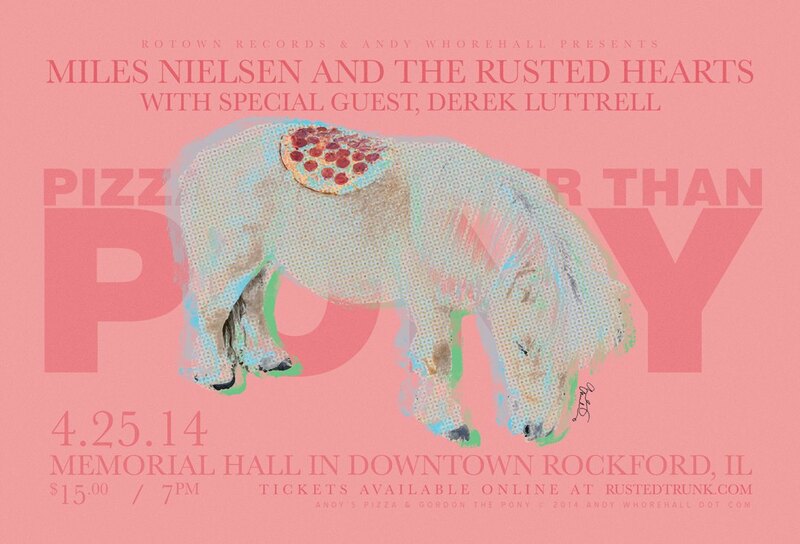 Luttrell will be performing with a band, most likely the headliners for the evening – Miles Nielsen and The Rusted Hearts. Click here for more info and to buy tickets to the event online at RustedTrunk.com. 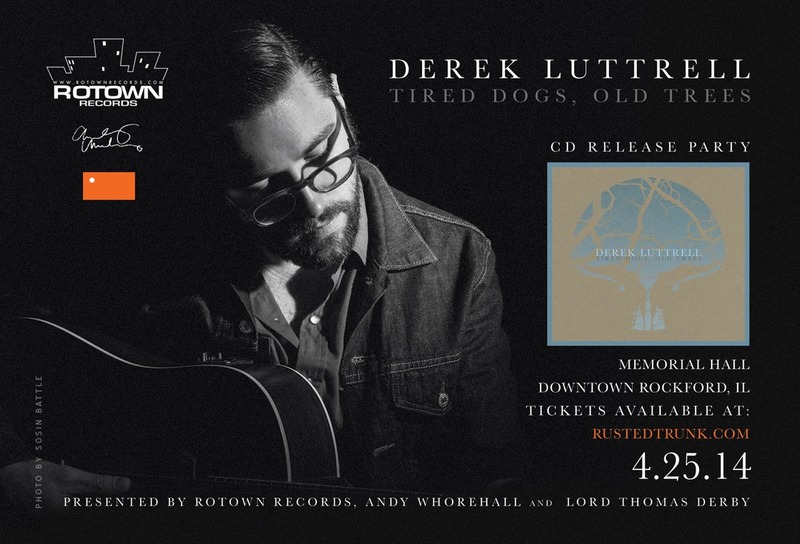 Tired Dogs, Old Trees will be available for purchase on CD and digital at rustedtrunk.com after the release party date, April 25th, 2014.